Midfielder for the Chelsea football, Eden Hazard, has said that he could imagine playing La Liga at some point in the future, but that he currently has no intentions of leaving Stamford Bridge. The 26-year old player has frequently been linked with a Real Madrid move of late and is an admirer of Zinedine Zidane. The Belgian has also been linked, albeit less closely, with Barcelona, although speculation about any future transfers got muted over the summer transfer window period, thanks to an injury he sustained to his ankle. When Hazard was asked by Marca if he would ever consider playing in La Liga, the player seemed open to the possibility were it to occur at some point in the future. The two-time Premier League winner added that he was happy in England, however, and that he felt that he was part of one of the best teams in the world. He admitted that the Spanish League was special, however, and that he wouldn’t reject the chance if it ever came up. Hazard has spoken glowingly of Zidane in the past, calling a very special man, even magical, and he has been open about his admiration for Zidane as both a player and a coach heretofore. Hazard has said that Zidane epitomises football to a large degree and that he seemed capable of anything when he was on the pitch. He went on to say that Zidane had taken his extraordinary abilities with him off the pitch and that he was accomplishing great things. When he was asked if Real Madrid were the team to defeat in this season’s Champions League, Hazard said that although they are definitely his personal favorite, the competition is an incredibly open one, and that are a number of teams who stand a good chance of taking the title. Hazard said that he feels that Real Madrid is the best football team in the world: they have managed to win everything, and have superb players that seem well versed in playing at their peak and avoiding injuries, and they have an incredible coach as well. Despite this, Hazard said that the Champions League is a very difficult competition to win, and, like the Premier League, everybody is in with a chance. But Will Conte Gamble on Hazard? Meanwhile, it is decision-making time for Conte regarding Eden Hazard. 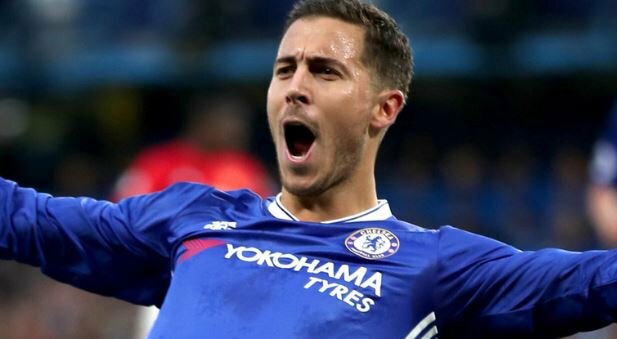 He has to decide whether he is willing to take a gamble on the Belgian player and start him in Chelsea’s game against Leicester City after the efforts Hazard has made for the national team. Hazard’s serious ankle issue over the summer has been somewhat dealt with thanks to the athlete playing in friendly games against the Everton and QPR teams in the past while, but we’ll have to wait and see whether this is enough for Conte to let him on the field.